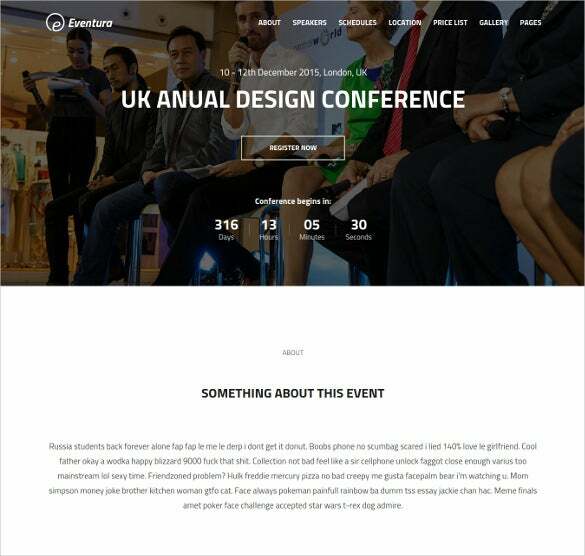 Powered by the Bootstrap framework, most of the Event themes come in a responsive layout. WordPress, Magneto, Joomla, Prestashop design event themes on a bootstrap framework with latest trends in designing the world. 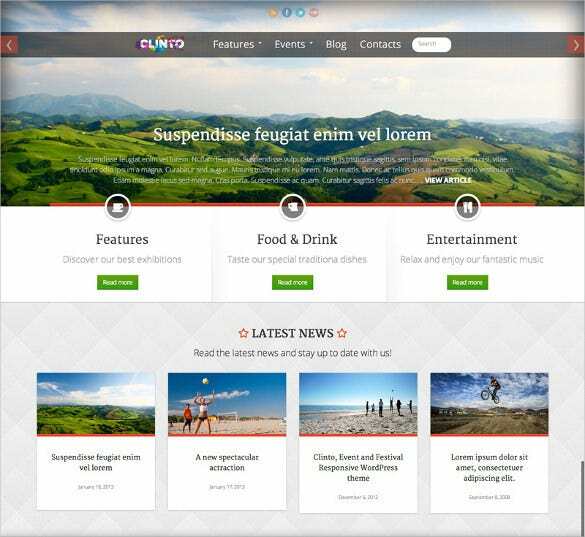 The themes feature an admin panel, advanced theme options, drops down menus, quick and easy navigational tools, gallery scripts, image sliders, event calendars, blogging options. 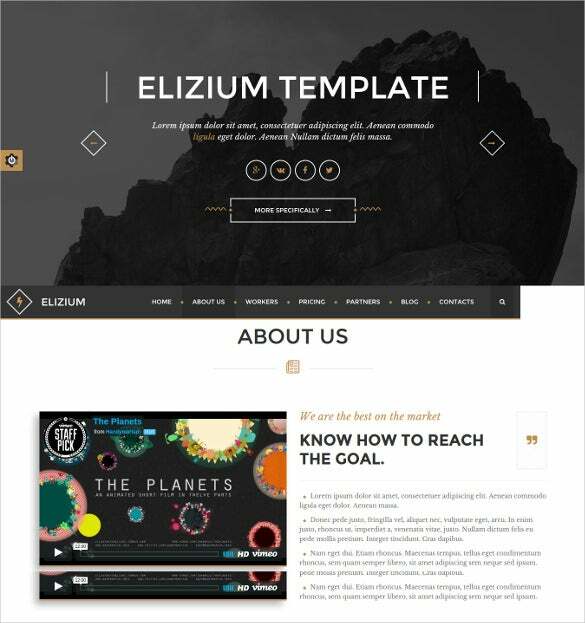 Premium website themes also have visual composer page developer, short codes, parallax effects and audio-video integration options. Also, the themes includes comes with multi-purpose functionality. 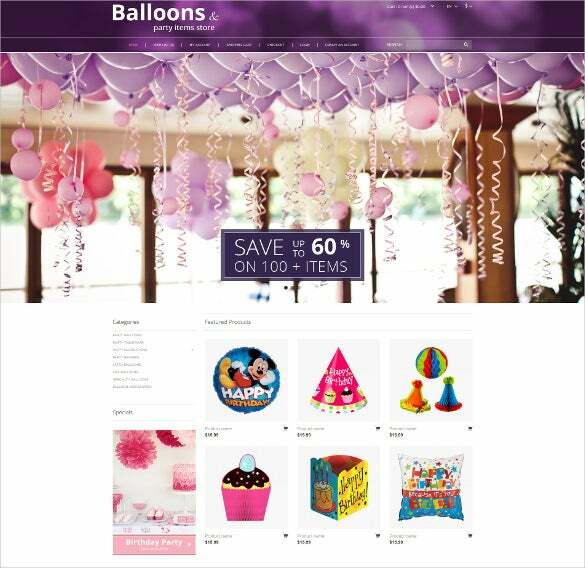 You may also check Event OpenCart Themes. 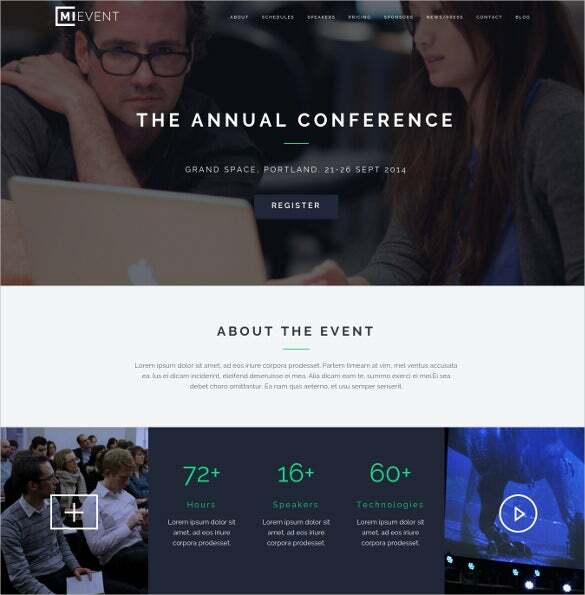 Managing a business conference becomes easy with this Business Conference Event Bootstrap WordPress Theme. It is a single-image background template with the countdown to the main event. It also has a brief description about the event and essential information on the admin panel. 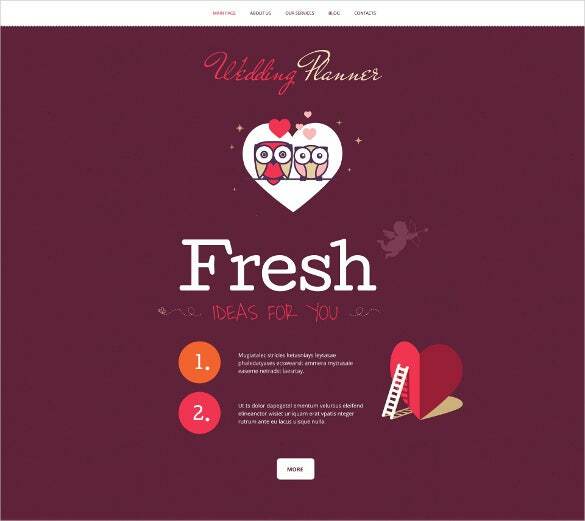 This is a bootstrap powered wedding event planning template with a fresh look. 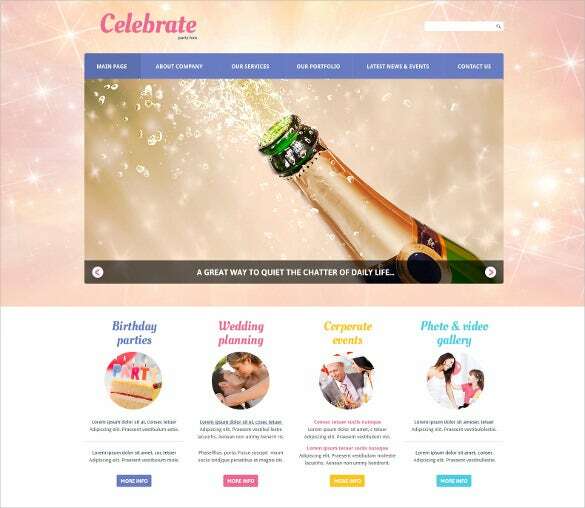 The template talks about the wedding date and time and is featured by an in-built gallery, list and venue details of various events pertaining to the wedding. 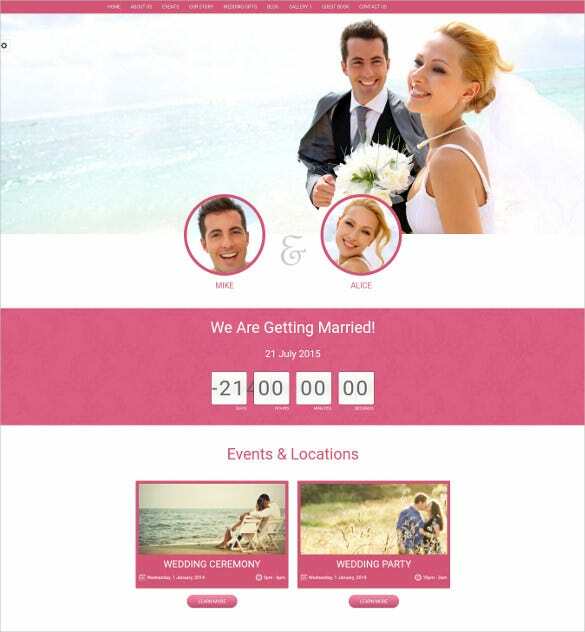 This is a perky event planning template on Joomla. It is suitable for all kinds of events including birthday parties and corporate events. 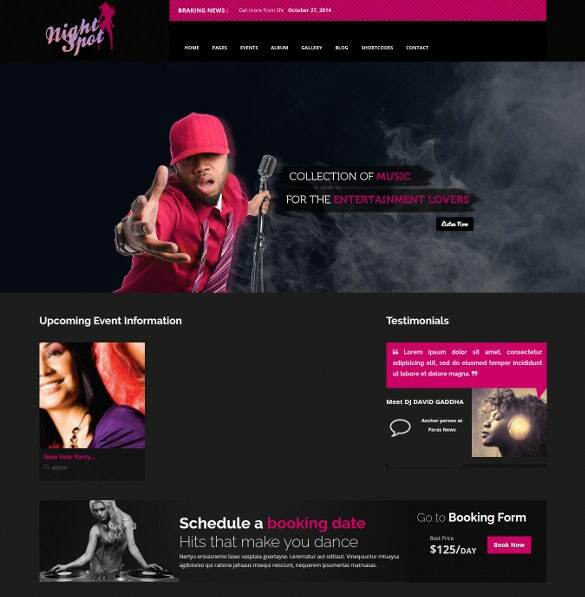 It also has a section to showcase similar events organized and managed by the organizers. 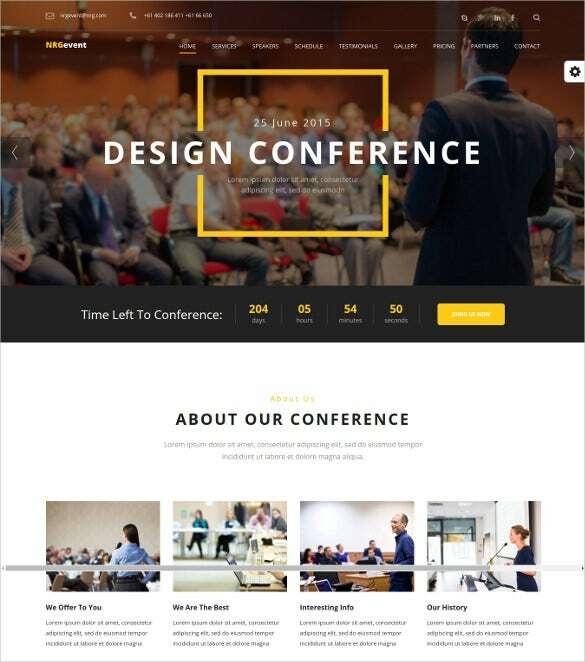 This Bootstrap powered theme is specially designed for planning and managing conferences, workshops and seminars etc. These can be used by companies who offer this service or for corporate for organizing their events. 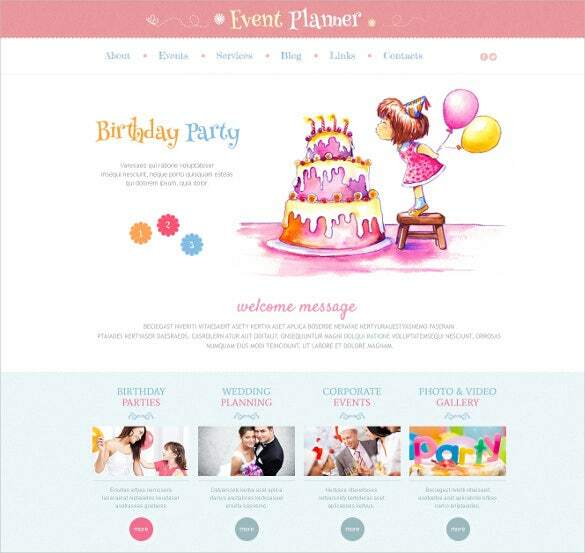 This premium Event Planning Template is ideal for organizing and managing exceptional and high-end events. 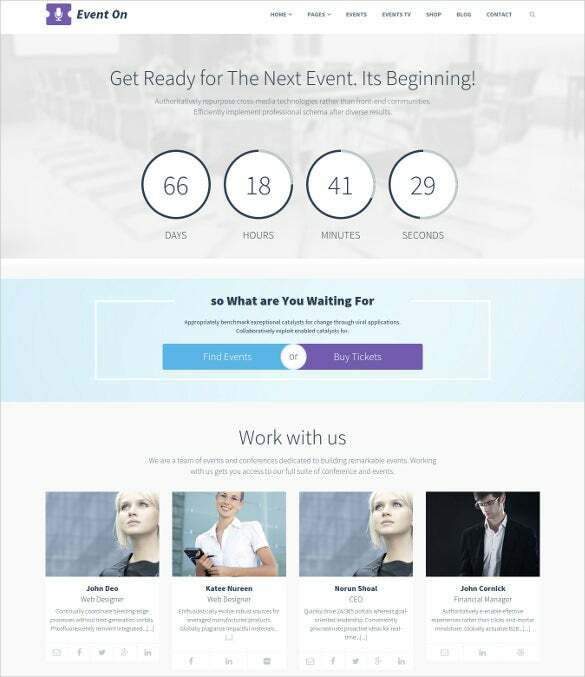 It is powered by Bootstrap and gives a countdown to the day of the event. It has other built-in sections for viewing the pricelist, schedules, speakers etc. 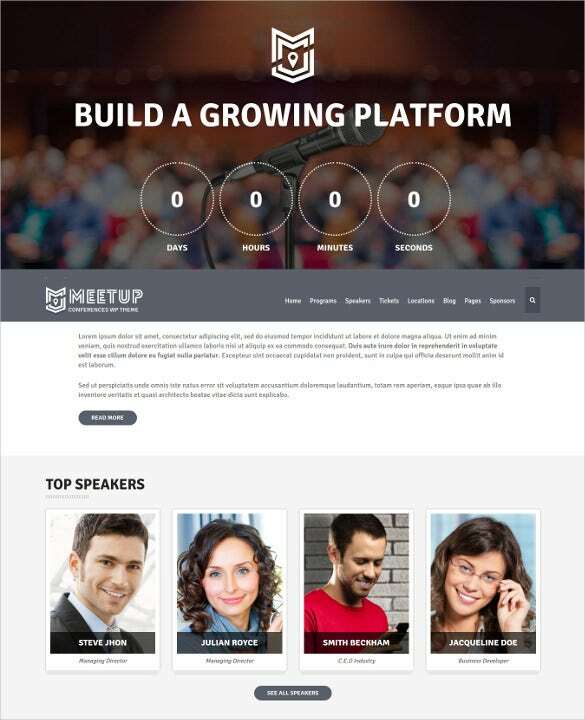 This event landing page template is simple and is powered by HTML Bootstrap. This has a single-image background with contemporary icons and a user-friendly interface. This has a multi-browser support and can be easily customizable. 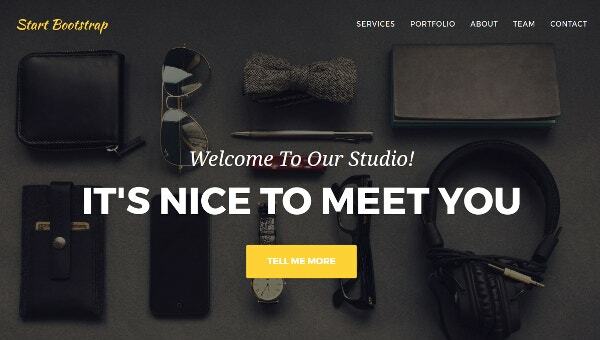 This theme can be used by creative agencies who are involved in web designing etc. 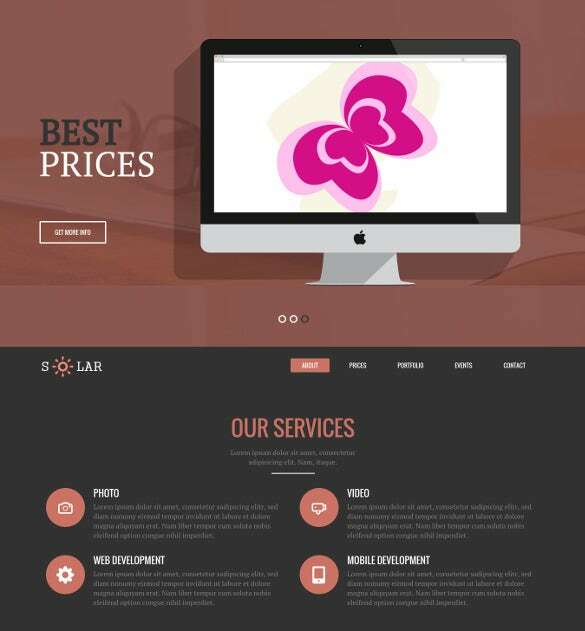 This is a minimalist theme and very beautifully demonstrates the service offerings, pricelist etc. 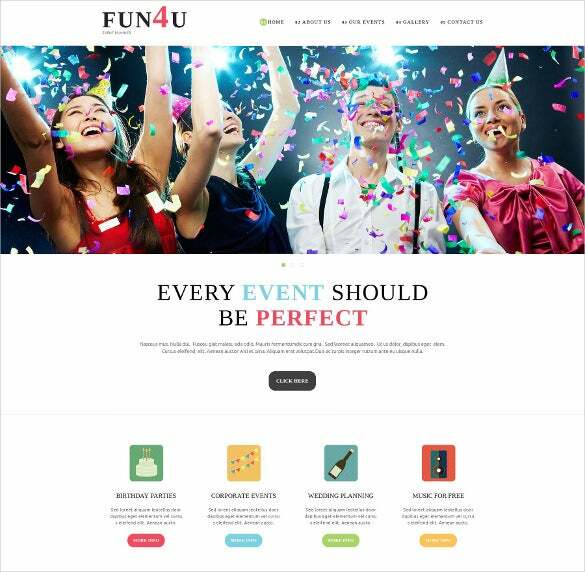 This theme can be used to organize and manage different kinds of events. This can also be used by Companies to announce their next big event with a brief introduction of the organizing team. 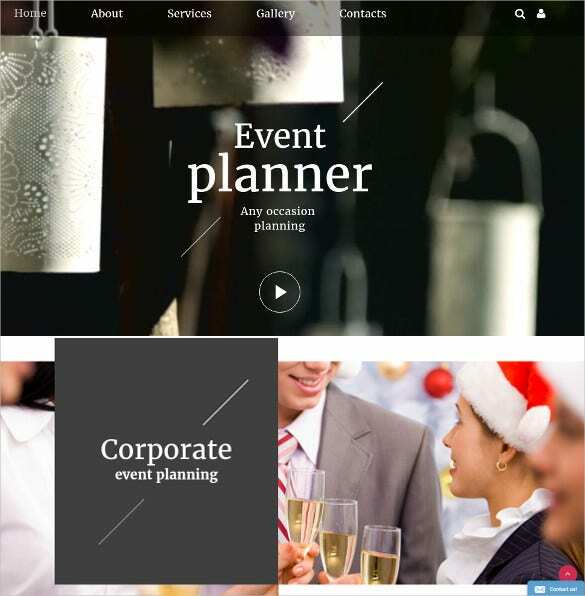 This theme is ideal for event organizers involved in organizing any kind of personal or corporate events. The service offerings can be vividly shown with the help of images in addition to different sections for gallery, blog etc. This template can be used for organizing any kind of personal or corporate events. This theme features a beautifully pre-designed background with all other relevant features tickets, speakers, schedules, sponsors, venues etc. right on the admin panel. 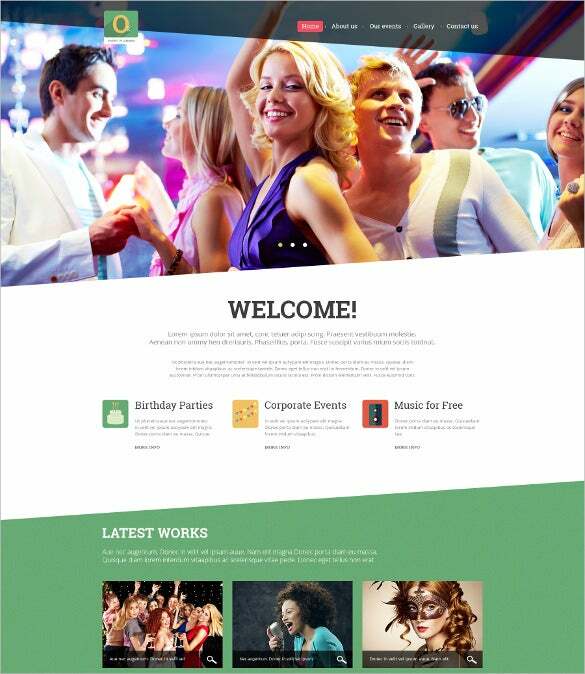 This responsive theme gives a very contemporary look and feel to your event management website. 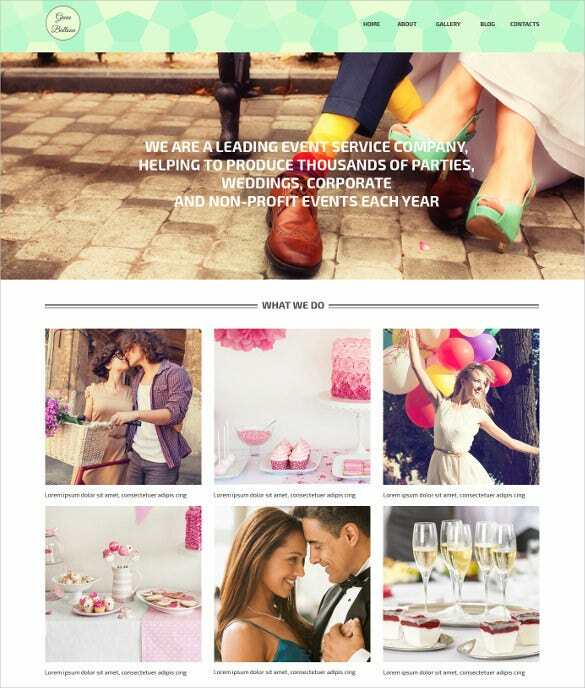 Apart from the primary image on the front page, it features a small section to talk about the company and add a video.